The Gift Store, Great items for Giving Anytime! 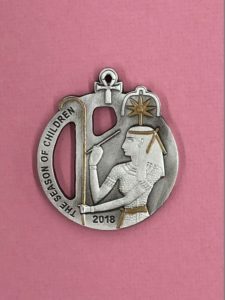 The My Gift Store offers unique items each year, with all donations benefiting the children at the 22 Shriners Hospital for Children®. The My Gift Incentive Program provides a means to contribute a specific monetary gift and receive a gift in return. This is a combined awareness and fund-raising program. It provides an incentive to contribute an awareness of our philanthropy, and each contribution not only helps increase the Convalescent Endowment Fund principal, but also helps accumulate more interest and income for the children. The My Gift Incentive Program has served the Convalescent Endowment Fund well and is the engine that drives our philanthropic efforts. All items are available through our online Gift Store or by mail. A gift to the Foundation is a wonderful and meaningful way to remember a loved one. You may make your donation online or send a check or money order tot he Foundation using a printed form. The Foundation will send an acknowledgment to the family. This is a lasting and fitting tribute to remember those who are no longer with us.